*All prices are list prices and do not include shipping (unless noted), handling or taxes. Publisher: Tax Lien University, Inc. The Creating Wealth Without Risk™ Binder / Manual is the "meat-and-potatoes" of the entire course. It contains foundational, conceptual, and practical strategies, tips, and techniques for purchasing tax lien certificates, tax deeds and hybrid tax deeds. Learn the foundational principles and concepts including which states offer tax lien certificates and which government officials you need to be working with! You'll have my proprietary steps (there's 10 of them) for purchasing and profiting with tax lien certificates. They were designed to move you through the 3 stages (Prepare, Purchase, and Profit) of the investment process! You'll learn the various ways of purchasing tax lien certificates including the traditional oral bid auction, over the Internet, through the mail and over the counter! You'll learn bidding strategies and techniques that will give you the upper hand over your competition! You'll have and learn how to get the tax sale list of tax lien certificates and tax sale properties sent directly to you - saving you time and money! Learn how to side-step the tax sale, avoiding the bidding process all together and so you can get the maximum profit mandated by law. You'll also have access to my quick-start state-by-state summaries explaining the process for getting involved in all 50 states including rookie pitfalls. Access to my list of time-saving strategies and resources including research websites, phone numbers, spreadsheets, forms, contracts and much much more! Creating Wealth Without Risk™ - Binder/Manual was designed to help you take full advantage of the tremendous wealth-creating potential of tax lien certificates. It's not some teaser course but rather an A to Z guide for profiting with tax lien certificates! 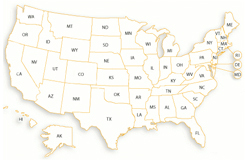 Research which states offer tax lien certificates or tax deeds.